Mountain Mint (pycnanthemum muticum)- Also called short toothed mountain mint. 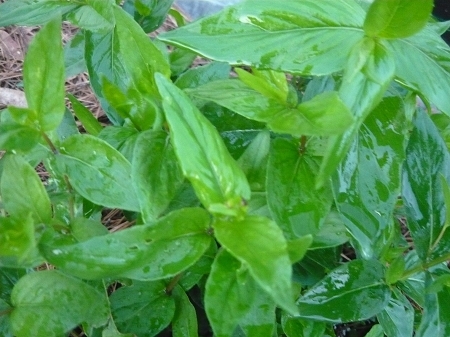 Aromatic leaves can be used for culinary or tea use. Most commonly used for attracting pollinators such as bees to the garden. and for attracting butterflies. Not a true mint so is not invasive like other mints. Grows 2' - 3'. Full to part sun. Reported to be deer resistant. Hardy perennial zones 4-8. Live plant in 3 inch container.